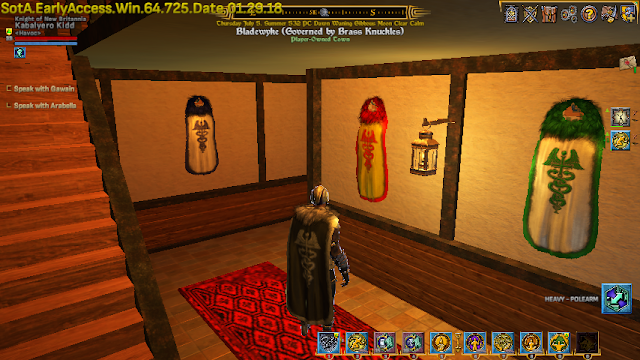 How To Get The Meretz Wellness Cloak • Shroud Of The Avatar - KABALYERO - PLAY, BLOG & EARN! 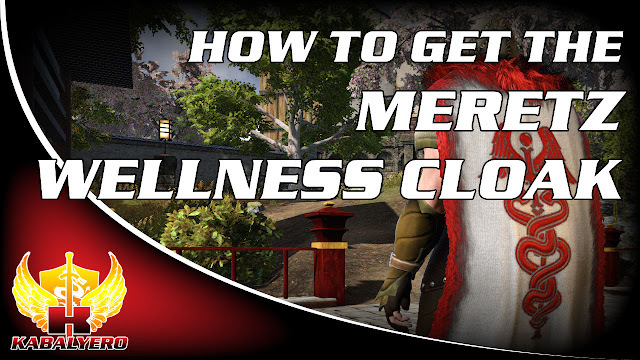 The Meretz Wellness Cloak is an in-game reward for connecting your Shroud of the Avatar account to the Meretz Gaming Fitness Mobile App in your Android or iOS device. To get the Meretz Wellness Cloak, the first thing you need to do is download the Meretz Gaming Fitness App from Google Play or Apple App Store and install it in your Android or iOS device. Next, you'll need to run the Meretz Gaming Fitness App and create a new account. After creating and also verifying your new Meretz Gaming Fitness App account, you are now ready to connect your Shroud of the Avatar account. To do this, you'll need to find Shroud of the Avatar in the list of Items that you can add in your Meretz Dashboard and click on the Connect button. To connect your Meretz Gaming Fitness App account to your Shroud of the Avatar account, Meretz will ask you your Display Name and your User ID Number. Giving your Meretz Gaming Fitness App account these two information will connect it to your Shroud of the Avatar account and it will immediately send you your Meretz Wellness Cloak Reward. To claim your Meretz Wellness Cloak Reward in-game, just visit the nearest Banker NPC and click the Claim Rewards button from the pop-up Bank window. After that, you can now run around New Britannia wearing your newly claimed Meretz Wellness Cloak. You can also use your Meretz Wellness Cloak as a decoration if you decide not to wear it.